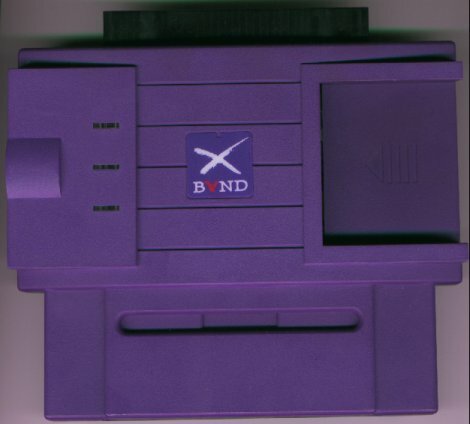 The Xband was a unique peripheral that allowed for networked multiplayer of SNES games. Thanks to neviksti for some of the information here. Released by Catapult Entertainment Inc. The modem cost (originally): $19.95 US. Subscriber Fees were $4.95 for 50 credits, 15 cents for additional credits, or $9.95 for unlimited credits. Optional Keyboard: $29.95. 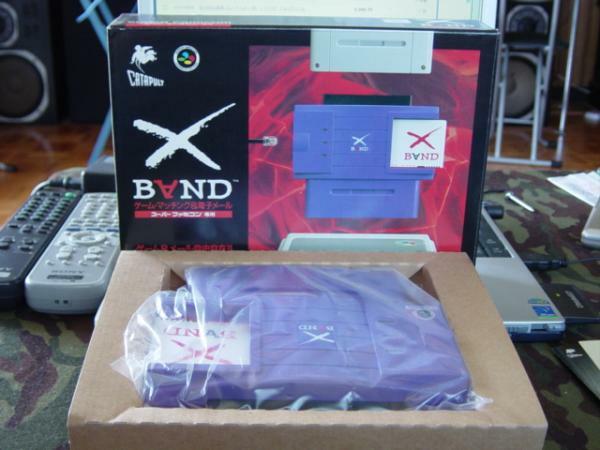 This device was released on both the Genesis and the Snes, and was used for networked gaming. Users connected the Xband modem to their phone lines and played against people all across the US. This device was licensed by Nintendo. It was first introduced in November 1994 in select cities, and eventually distributed across the US. The device uses a 2400-baud modem, which allowed access over phone lines. Although the modem is slow, the Xband worked by sending controller instructions, by intercepting code from the game, and patching it with its own instructions, much like the Game Genie works. The system worked by dialing up the main server, which was located in Cupertino, California. The server then sent the Xband newsletters (called Bandwidth and Xband News). It also sent any patches that were needed. You could then search for opponents. Long distance service cost $3.95 an hour. There was some lag with this system, but apparently it was not really a problem. The system had a rating system that determined your level of skill. The more wins you had, the higher the rating you got, and the rating you your opponent had determined how much your rating would go up with a win. If an opponent pulled the plug on the modem during the game, the person would automatically lose. The keyboard was not as common as the modem, and it is likely very difficult to find. It connected to the second controller slot. Front of the cart. Courtesy of neviksti. Japanese X-Band. Taken from an old Yahoo! Japan auction.